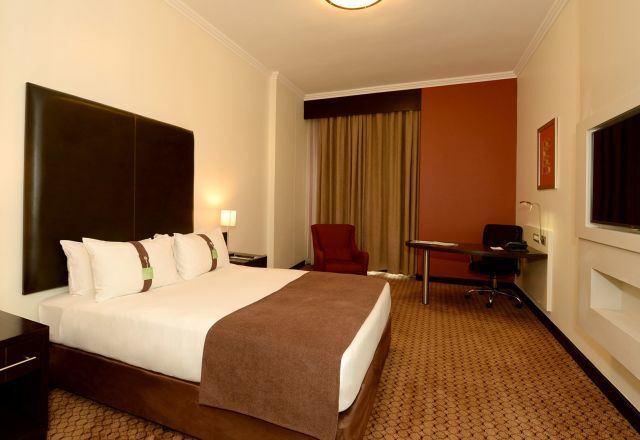 Accommodation at the Holiday Inn Sandton hotel consist of 301 spacious and classically decorated rooms that provide the ultimate in comfort and style. 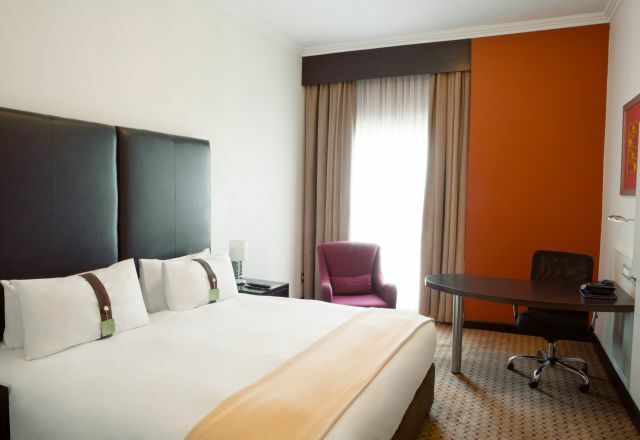 Each soundproofed room (with blackout curtains) is furnished with carefully chosen and locally-sourced furniture of the highest quality. 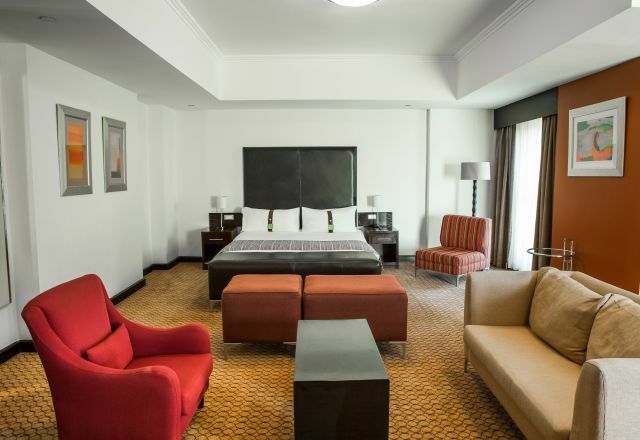 Wood-panelled storage spaces and granite-topped surfaces in the bathrooms add to the classic elegance and international standards of quality that sets this Sandton hotel accommodation apart. 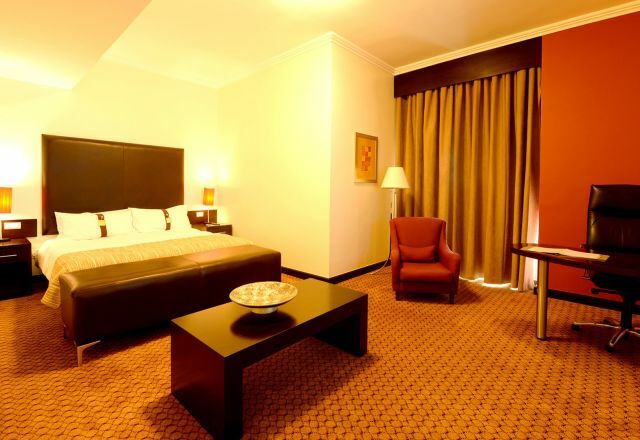 These rooms feature 2 twin beds and a walk-in shower or a bath and shower combo along with a workstation. Queen Standard Rooms offer a queen-size bed and either a walk-in shower or a bath and shower combo along with a workstation. 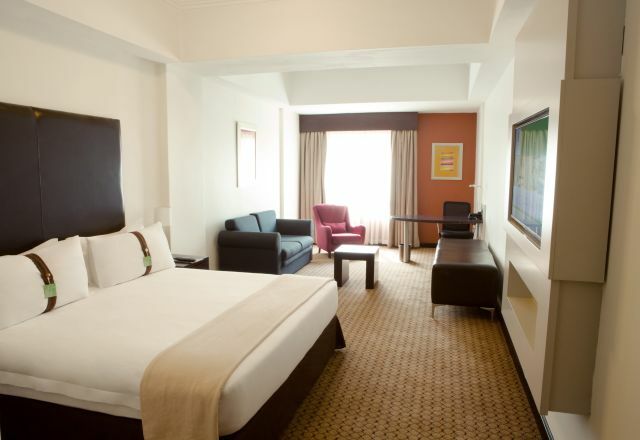 The perfect family hotel room choice in Sandton as each room contains both a king-size bed as well as a sleeper sofa bed for an extra guest. 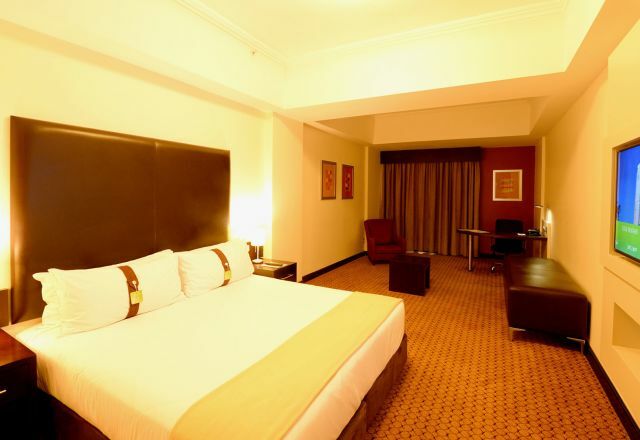 Business Class rooms contains a king-size bed and either a walk-in shower or a bath and shower combo along with a workstation. Each Deluxe Room contains a king-size bed, a separate en-suite walk-in shower and bath with a double basin. 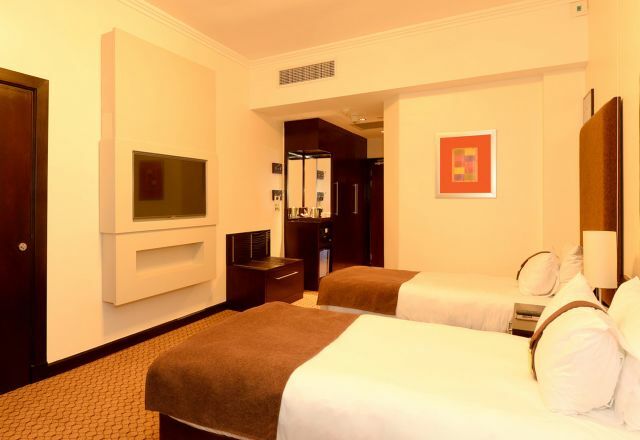 Large corner rooms each with a king-size bed, an in-room lounge area, separate en-suite walk-in shower and bath with a double basin and bidet. Specially adapted rooms with additional mobility requirements including emergency cords, a specially adapted shower and assisting grab rails.